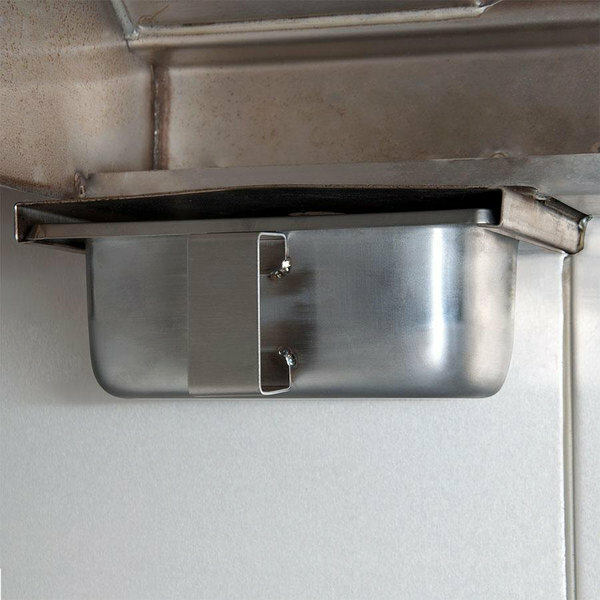 This stainless steel grease trap pan mounts easily at the end of your ventilation hood to collect the grease from the baffle filters. It boasts a convenient handle for easy insertion and removal. 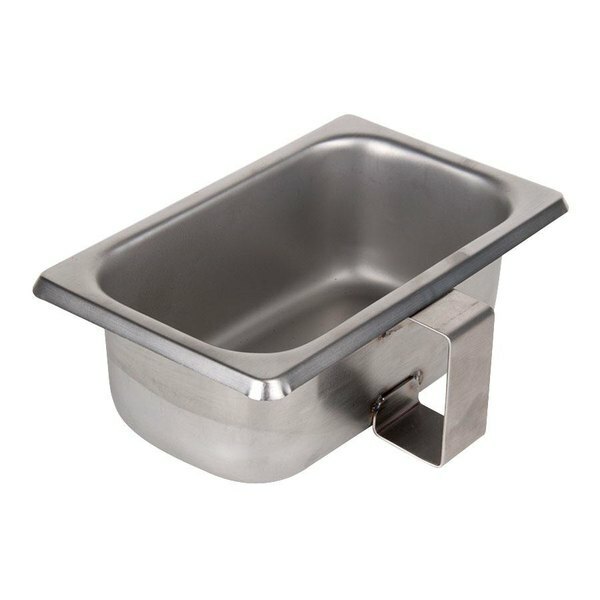 Overall User Rating: Exhaust Hood Grease Trap Pan - 6 3/4" x 4 1/4" x 2 1/2"
Does what it's supposed to do and catches grease. Measurements were accurate and it is pretty heavy duty. I've dropped it several times without a ding on it. Durable item that is strong enough to hold larges amount of grease quickly. Our hood systems take in a lot as we use 4 fryers and a smoker, but these trap pans do the trick! Just be careful to make sure that you get the right ones! 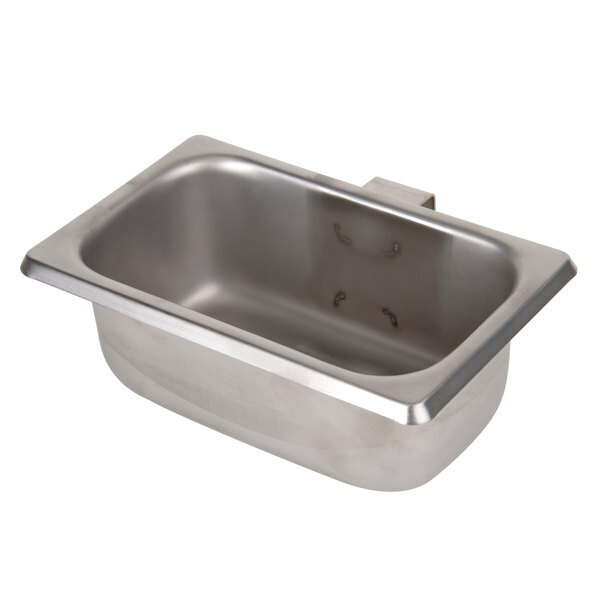 Lowest priced exhaust hood grease trap that I found on the internet. Seems to be well built that will last for a very long time. This is a good item! We bought this to replace the standard 1/9th pan we have been using. This item fits in place better and has a nice handle for easy use!! !